How much can you save on dental tourism, and how good is foreign dental care? What Are the Cost Savings of Foreign Dental Care? Americans travel the globe to get quality dental care for a huge discount on the price they would pay in the US: 40% to even 80% less. What Kinds of Procedures Do Dental Tourists Travel For? Let’s Get This Out of the Way: How Good Is Foreign Dental Care? Short answer: it’s just as good. Long answer: The United States is not the only country with an illustrious tradition of dental education, innovation, and care. The quality of dental care (and technology) is a source of pride in many other countries, particularly in Europe, Southeast Asia, and South America. Can You Do Dental Tourism in Any Vacation Places? Yes. Thailand’s exciting capital, Bangkok, is a hotbed of medical and dental tourism, with a stratospheric level of medical expertise and care. Thailand's beach island of Phuket is also a center of dental tourism. Costa Rica, an ecotourism magnet, is another center of dental tourism. Dubai has its share of dental tourism clinics as well. And other vacation destinations offer dental tourism, too. Are Any of these Foreign Dental Tourism Destinations Close to the U.S. Border? Yes. Mexican border towns are now chockablock with dental clinics that cater to American day-trippers. Just across the border from Yuma, Arizona, Los Algodones, Mexico is a dental tourism star. It’s also filled with discount medical and optical practices and pharmacies. You can park in Arizona and walk through passport gates. Is Foreign Dental Care Provided by a Private Dentist or by a Clinic? There's plenty of quality control. Foreign dentists and clinics that seek American patients are under a lot of scrutiny and are extremely concerned about their reputations. Web services such as WhatClinic.com furnish extensive patient reviews of foreign dentists. Additionally, PatientsBeyondBorders.com, a leading proponent of medical and dental tourism, also functions as an industry watchdog. It lists and recommends only providers who have passed a multi-point professional vetting process including US certification in the specialty. Does Dental Work Done in a Foreign Country Look Different? No. Dental tourism companies are keen on results and work only with dental clinics who provide modern, high-quality procedures. Patients should not fear getting old-fashioned, visible dental work like silver bridges and "chiclet" veneers. Is Dental Tourism Work Guaranteed? Will Your U.S. Dental Insurance Cover Foreign Dental Work? If you have dental insurance, it may have some in-network providers out of the country. Of course, you’d need to check. Are There Services that “Package” Trips for Foreign Dental Services? Here's a description of one dental tourism company, Dental Departures, as an example. Disclaimer: this article is not meant to promote or advertise Dental Departures, but to show what a U.S.-based dental tourism service is and does. 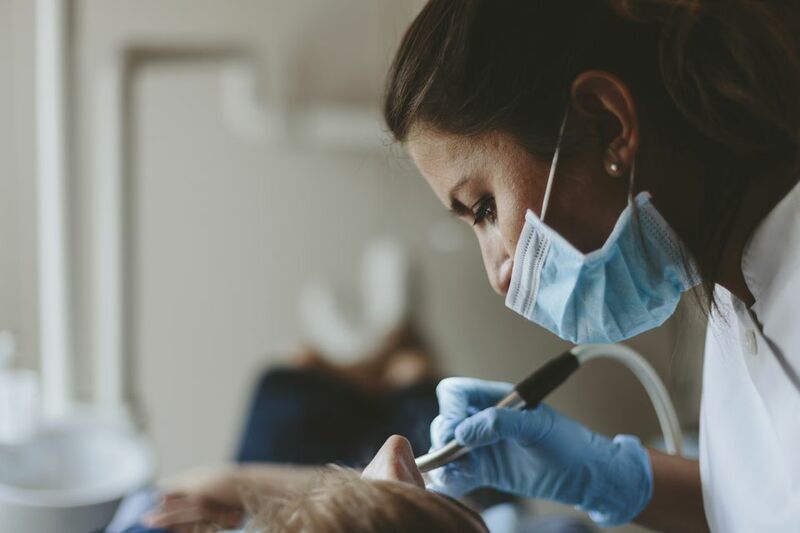 Dental Departures is a market leader in its field that has facilitated foreign dental care for tens of thousands of patients since its founding in 2010. Its stated mission is “affordable dental care for everyone on the planet.” Dental Departures clients are primarily from the US. They are also from Canada, the UK, Australia, New Zealand, France, Germany, Italy, and other industrialized countries. Dental Departures’ clients tend to go to a relatively nearby country for their go for their care. Americans and Canadians generally visit Mexico and Costa Rica. Australians and New Zealander go to Thailand, Malaysia, Singapore. British, French, and Germans choose Poland, Hungary, Czech Republic, Turkey. How Does Dental Departures Certify Its Foreign Dentists and Facilities? Dental Departures conducts a four-part verification of its dental clinic partners: a site visit, on-site quality survey, online reputation, dental license verification this (varies by country; each dentist is licensed by its local/regional/national dental regulatory body). What Are Dental Departures' Hotel Packages Like? Clients can book exclusive hotel deals for their dental tourism trips to Mexico and Thailand. The hotels are near the dental clinics. You can book directly from the clinic's site, and room rates are 15-30% off published rates. Dental Departures employees assist with patients' flight arrangements as well, helping clients find the best fares. Currently, Dental Departures does not work with luxury hotels. But clients can work with the company to book luxury hotels in sophisticated destinations like Bangkok and Zagreb, Croatia. How Do Costs Compare Between the U.S. and Dental Departures' Foreign Dentists? This is way adventure travelers need travel insurance.